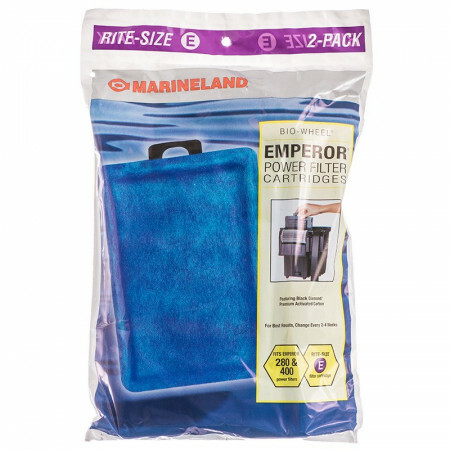 Marineland Bio-Wheel Emperor Power Filters cartridges are designed for optimal performance and incredible ease of use. Rite-Size E cartridges feature Marineland's Black Diamond Premium Activated Carbon for excellent mechanical and chemical filtration. 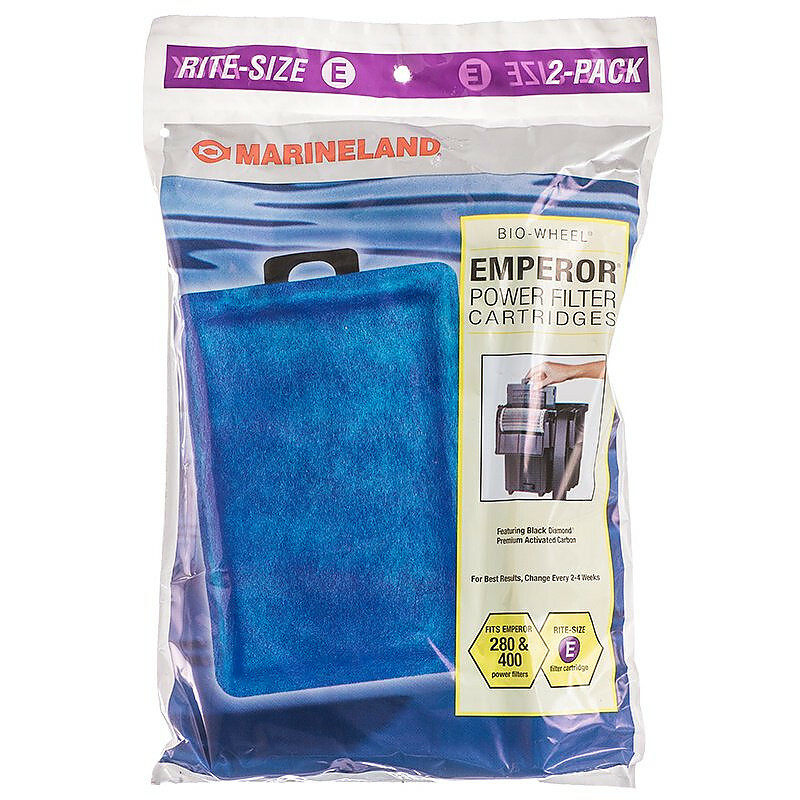 Fits: All Marineland Emperor Power Filters (280 & 400). Exactly as advertised! !..Very affordable and shipped fast!! Purchase was very ez on their website. Product exactly as advertised. Best price on Internet. Very fast service. Product arrived sooner than expected in perfect condition. Very Very happy with experience and will order these again from this shipper. Excellent price on these filters. Pet Mountain is a great resource for aquarium supplies! Highly recommended. Good purchase for our fish! Living in Hawaii, I must add in postage but not this time. The boxes came over 8 boxes in two layers and it was fine. I have been buying this filter at the local pet store and it cost me 3 times as much there. I bought a year's worth. Just as good as the original ones. Fits well and filters just fine. I have a 175 gallon aquarium with 2 Emperor 400's on it. I use 4 cartridges a month and rinse them every two weeks. No problems with fish or water. I buy a year's supply at a time, when they go on sale, and it is no muss no fuss. I just slip them out and slip them back in when needed. Yes, I would highly recommend this product. I use these in my son's small saltwater tank set up as live rock, sand and fish only. We have the Emperor 400. Same filtration for over 10 years on this tank and this works great. Good price on the filters. We do not change out filters as much as recommended but we are not keeping corals. Exactly what I was looking for and a lot cheaper too. Will definitely be back to buy more when I need other items. 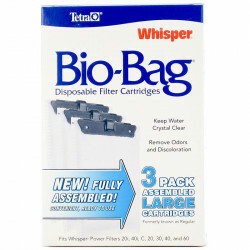 What can you say about the filter media other than it's effective, and lasts pretty well. I have this media running in one emperor 400 in addition to 2 Rena XP3's on a 135 gal tank with a 17 inch common pleco. Takes about 4 weeks for the filter media to clog. That's pretty good considering the pleco is one MESSY fish. This media's price is high but it is the best price for these filters that I have found. Shipment came quickly and was what I expected. Filters are great, and the emperor is the only filter I will use on both of my tanks. The larger intake port is the ticket to cleaner water. These filters trap everything!!! I buy this filter only from pet mountain. Lowest price. Buy in bulk and save big. I loved the price for this product. It was set very low which allowed me to purchase 2 boxes for the price I would have paid for 1 box in stores. Shipping was fast and complete. Product was packaged appropriately and no damage was done. I was very pleased with this purchase. I love these things...it makes changing the filter media a breeze! I have ordered from Pet Mountain on several occasions and find their prices are great and the service/delivery time reasonable. I recommend them. I have ordered this same product a few times from these folks in the past and once again a smooth transaction. The product works as described. Thank you. Product is exactly what I ordered and paid more for elsewhere. Same as Pet Smart Less than 1/2 the cost! Great filters. Works real well in my 75 gallon tank. I have emperor 400 power filter. Great price, cheapest you will find anywhere. These emperor 400 filter cartridges are super!! I reuse and rinse mine out quite a few time before I have to use a new one! 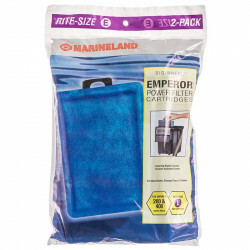 The Emperor 400 filter works wonderful on my 54, 65 and 90 gallon aquariums!! Highly recommend them!! The Marineland Filter cartridge system is simply the easiest and simplest media system ever. I have been using it for years with great success. I have this on a 20 gallon. It is a tight fit and has to be pushed all the way to one side to clear the light switch in the hood. I own 4 aquariums and have to say that this is a great filter. However it is a little noisy. We love these cartridges ---so easy to use, and Pet Mountain's price is great!! Can't get a better filter or a better deal, period! I keep two aquariums - a 55 gallon at the elementary school where I work and a 45 gallon at my home. 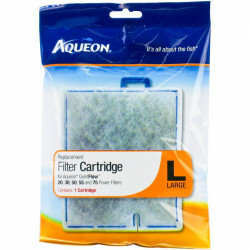 I have found these replacement cartridges to be very easy to use and the filter itself to be a very good filter. The aquariums are very clean & people always comment about how clean the one at school is. I have several tanks and purchased 2 Emperor 280 filters for my 65 gal tank. They work great and are easy to maintain. 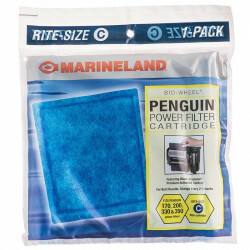 The Marineland brand of filters are the best that you can buy. They last for several weeks and are a good money value. I've used Marineland filters for years...10 gallon, 25 gallon and my current 55 gallon tank. Almost completely whisper quiet. Love them. These filter pads are great. Very convenient, effective and easy to install. I recommend the Emperor filtration system. Emperors the best. I have used several different filters over the past 5 years and one of the best has to be the Emperor 280 and 400. The cartridges are so easy to clean and put back in and the media cartridges allows for ease of using what ever media you need to use from Peat to Carbon and to customize your filter to your needs. I have used Emperor 400 filters for over 5 years. One of the best ones that I have experienced!